For eight years the Pagan-Musings Podcast Channel has produced weekly content of the Pagan flavor. Continuously growing, PMPC now offers a wide selection of news, views, music, and information to the Global Pagan community. 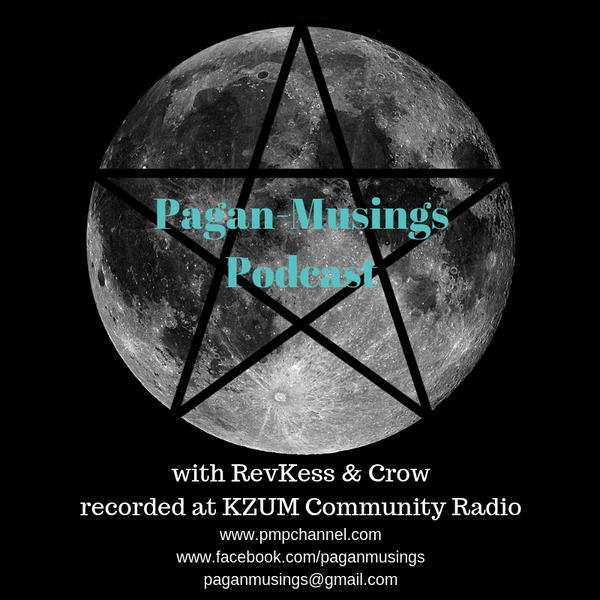 Line-Up: Pagan-Musings Podcast with KaliSara and RevKess, Sundays at 7pm Central. Musica Pagani with RevKess (currently on hiatus). Pagan Weekly News with RevKess and KaliSara, Thursdays at 10pm Central. The Maiden, Mother, and Crone of Green Egg joined the line-up in 2015. Bringing aspects of the magazine to life on the Channel, you can find their live shows on alternating Saturdays. Check listings for programming information. PMPChannel also plays Selections from the Mess from KZUM-Lincoln's Murphy's Magic Mess and Lavender Hill from KZUM-Lincoln. Show notes available at www.pmpchannel.com. Like us on Facebook (www.facebook.com/paganmusings). RevKess and KaliSara are joined by their friend Laura Tempest Zakroff. Laura is the author of multiple books, a dancer, artist, and a Modern Traditional Witch. Her second book from Llewellynn is called Sigil Witchery, part of the Witches Guide to Crafting series. In Sigil Witchery she takes the reader through the history of ancient symbols and markings all the through modern graffitti and art. As an artist, Laura has incorporated her art into her magic on multiple levels. Laura is also the author of the Witches Cauldron from Lewellynn, several adult coloring books, and will be releasing her third title from Lewellynn in 2019.